Soluble Apps was founded in 2010, by Peter Johnson, drawing on over 25 years of experience as Coder, Artist, Producer, Musician and Studio Head in the videogames industry. We are based in Newcastle upon Tyne, England. Our top-selling products are the popular "MailShot Pro" group email app, "ShotList" for planning movie shoots, and "FAQ", which cuts down on repetitive emailing. We should have an updated tutorial video in the next few days, but it was felt to be worth getting the new version out there for anyone lucky enough to get a shiny new iPhone X. As usual, if you have any issues, or just want to let me know how the new version feels, please drop me a line from the Support button in the app, as that includes useful diagnostic information that will help solve any issues quickly..
UPDATE: Mailshot 6.1 has just been released, this fixes an issue when sharing video from Photos, and when sharing PDFs from the Mail app. We have already updated ShotList for iOS11, and to add support for iPhoneX screens. The current version of MailShot still works great with iOS11, although an issue has been reported with Share extensions from Safari and Photos. iOS11 seems to have an issue with group messaging, it appears the “Group Messaging” switch on the Messages page in Settings does not allow larger MMS groups, as it dd before. 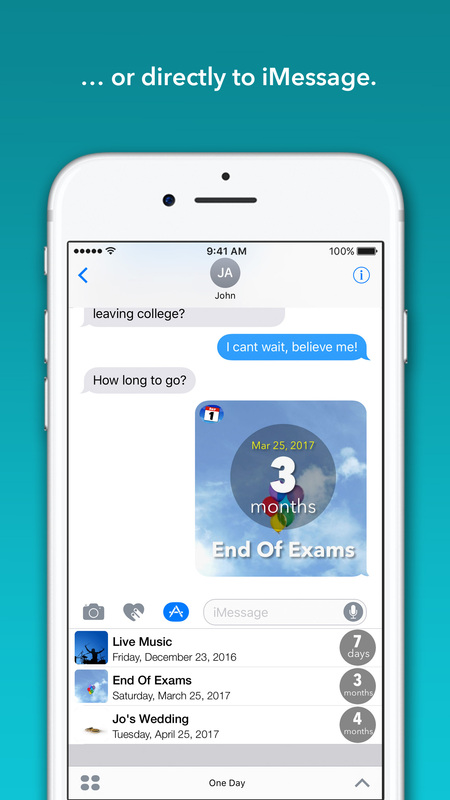 This seems to affec all non-Apple messaging apps including TextShot. We have reported this to Apple, and are investigating at the moment. In addition you can now crop and rotate storyboard images as you add them to your project. Some users were creating projects with very large PDFs, you can now also save a project as a PDF to Dropbox, rather than only using email. There are also increased shot angle options, and various other small tweaks and fixes. ShotList works with all iPhones, all iPads, and iPod Touch running iOS9.0 and above, and is available now on the App Store. Our latest app, One Day, is now available on the App Store. Sometimes there’s a special day that you just can’t wait for- it could be a wedding , a special anniversary, a party, the end of exams or medical treatment, the next Star Wars movie, or the holiday of a lifetime ! We help you count down the days to that special day, and share that excitement with friends as your anticipation builds. The app is available in two versions. 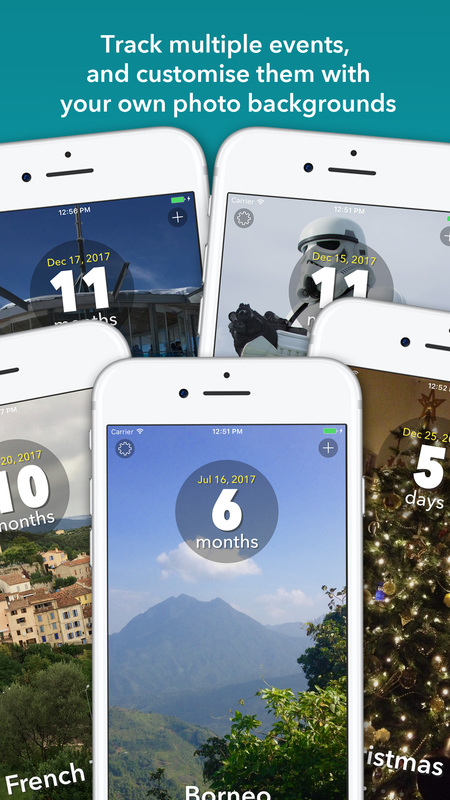 “One Day” lets you try it out for one event, and can be easily unlocked to add the features from “One Day Pro” which lets you track multiple events and customise each event with your own images. One Day Pro works with all iPhones and iPads running iOS 10 or later, and is available now on the App Store. 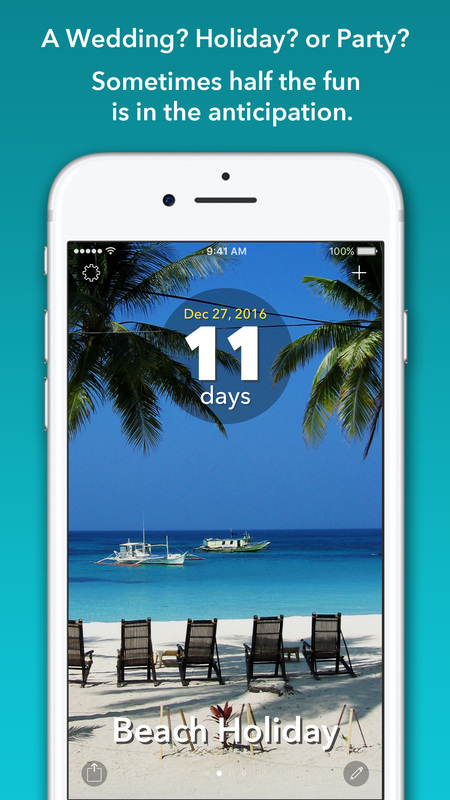 One Day works with all iPhones and iPads running iOS 10, and is available free on the App Store. 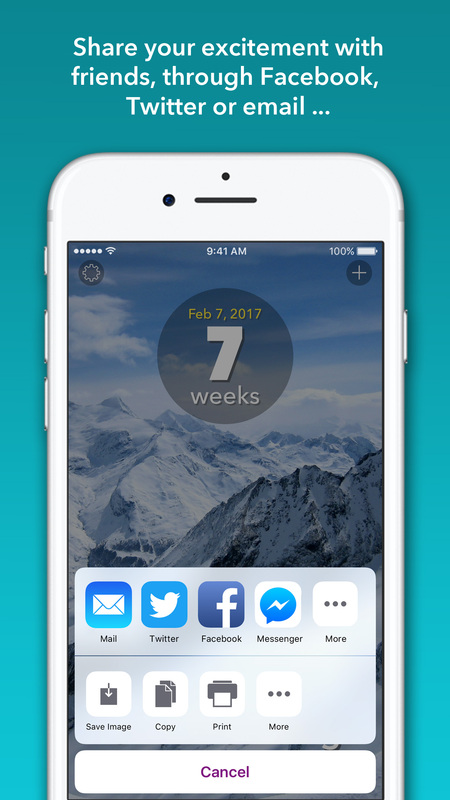 It can be upgraded later through an in-app purchase to add more events, and custom images.